The acrylic sheet resists the pen as I try to trace the lines of my sketch onto the transparent sheet. The deeper the line is, the more ink it will collect. That is hardly a problem right now, as my impatience means my pen has barely scratched the surface as I rush over the lines. I dab ink over it with cotton wool over it to see if it sticks: it doesn’t, and I have to trace again. The lines I’m tracing over are a sketch of different details I found of Valletta, joined together into one composition, which I am now tracing with my increasingly aching hand. It is a programme which Michelle Morrissey, the owner and curator of Studio 104, a fine art studio and gallery in Valletta has launched – visitors go round Valletta taking sketches, then go back to the studio, etch their composition onto a printing plate and pass it through a print press. 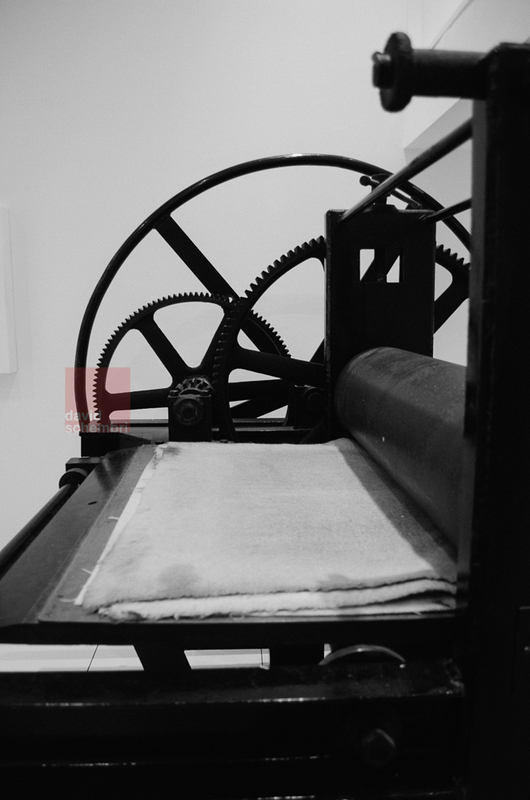 It is an entirely mechanical behemoth, requiring only a gentle pull on its large operating wheel to press the plate over the printing paper. “If you have a look at the plate, when your plate is running through it, it’s picking up each mark you leave it’s picking up your marks, millimetre by millimetre,” Michelle, who studied art and design in the UK says. Being around Valletta sketching details made me notice things I had never noticed before. While I am interested in the details that make up the cityscape, and often stop to take pictures of small details with my phone camera, stopping in front of a view and transferring what you see to paper with your own hand is a totally different experience, and each stroke of my pencil teaches me something new of what I’m printing. The disconnect from our surroundings the digital realm has ushered in becomes more evident with each pass of the etching pen over the acrylic plate ahead of printing. To me, printing has always been a question of plugging in a printer into a wall, connecting to a computer and keying in Ctrl+P, then let the printer do the job for me. And while printing is still a very physical process, I never had to actually physically print anything. This was different. Each line, each burrow I made would translate directly into print: I was the one responsible for what came out. This disconnect hasn’t gone unnoticed: Margaret Buhagiar, who runs the Salesian Press in Sliema and who lectures on the topic at MCAST notes that many designers who go through the college are not aware of the needs of printers – even though they may be excellent in the design aspect of their work. The Salesian Press is home to an old Heidelberg letterpress machine – at 50 years old, it still has a place within the modern world – although you won’t see a magazine such as this being printed there. 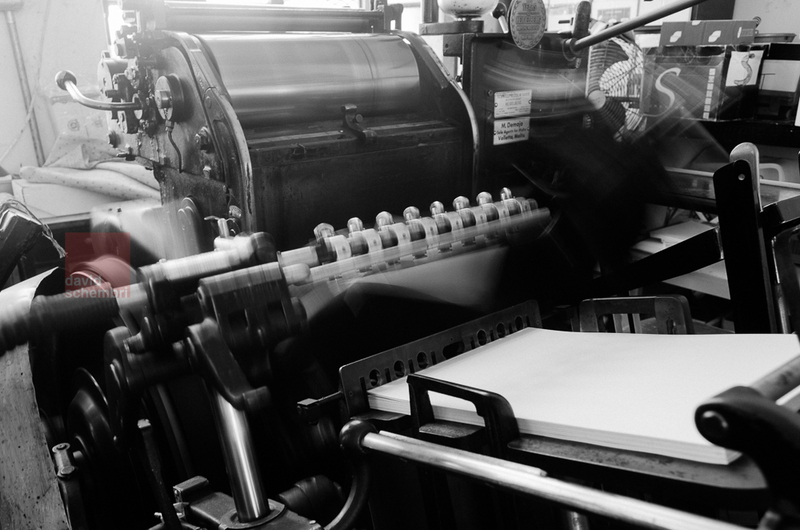 “Many printing presses have phased out these platen machines. We’ve kept it because it does numbering, perforation, it prints using polymers, die-cutting and blind embossing. We also have another machine which does ink embossing – that’s another old process which we still provide,” Margaret says. Although the machine itself is far more complex than the press at Studio 104, you can see what the machine is up to, and can notice immediately when something goes wrong. Strangely enough, it can be used to finish certain jobs: particularly small runs, such as business cards, faster than other machines which do the same thing. Zvezdan Reljic, a book publisher and a designer, has worked in prepress and design over three decades, and was in Malta when desktop publishing was still in its infancy. Although he probably wouldn’t be able to carry out his job as a newspaper designer nearly as fast as he does without the use of a computer, he does acknowledge that the digital revolution has contributed to the decline of the craft previously associated with design and printing. “New offset digital presses look like huge wardrobes: you have buttons and settings which you must follow: if artwork or some parts are bad, that’s what you’re going to get. Before, printers could see it and adjust it. Technology is killing the craft: soon you will only be able to print what some huge company making the machines decides,” he says. 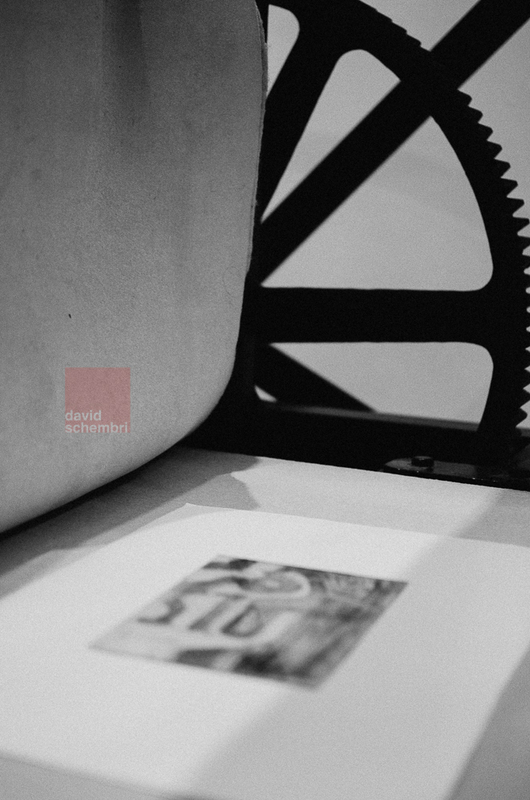 And yet, machines like the Heidelberg at the Salesian press are still used, and like the return of some photographers to analogue photography, Zvezdan believes that there is a resurgence in the use of older print techniques. “It seems there is revival of the use of older machines like the platen, and guess what, the best designers want their small jobs printed there,” he says. “Ink on paper,” he says. 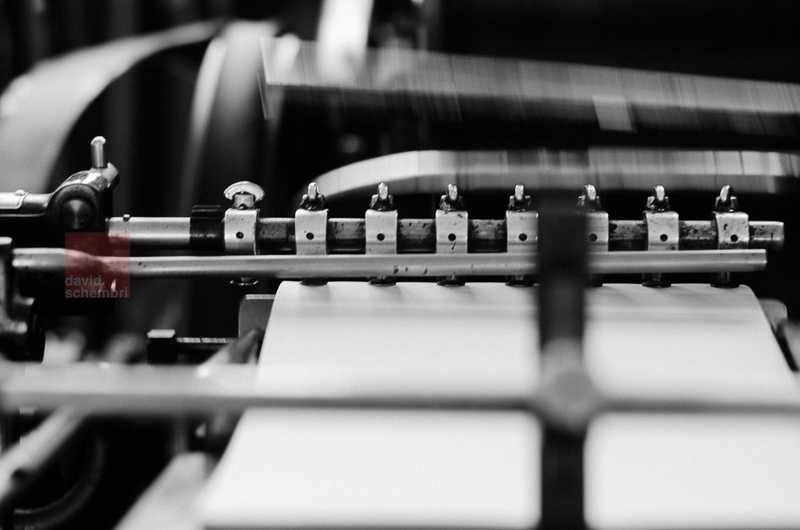 “And people want to feel things – I remember when we were in school, when I’m mentioning these platen machines… you had to adjust the machine [matrix] so that it only kisses paper,” he reminisces.